This is a new version of the Glo-Toob designed to use a C123 lithium battery instead of the A23 battery used in the previous version. The toob has 11 modes of operation selected using a redesigned cap button. To switch modes you have to turn the tube on, wait five seconds and then turn it off and on without a pause. Now switching on and off will change modes. To fix a mode just leave the unit on in the selected mode for four seconds. The lithium version has 11 modes of operation: flash mode, beacon strobe, fast strobe, slow strobe, SOS, pulse, half flash, bounce, ramp up, 100% constant on and 25% constant on. It can use either primary or rechargeable 123 batteries without problems as long as the battery fits in the tube. Not all rechargeable 123 batteries are the same size. The new model is 80mm (3.15'') high and 24mm (0.95'') in diameter it is bigger than the older model to acomodate the new larger 123 battery. With this battery the tube can from 24 hours to 100 hours depending on the selected mode. The push button cap is splash proof and the standard package includes a lanyard and twist cap. With the twist cap the tube can be used up to 100m deep making it suitable for diving applications. (328 ft). The new model is easy to operate and the push button cap has a very good tactile response making it easier to switch modes. To our taste the unit has too many fancy modes and only two constant-on modes, it is doubtful to have 9 signaling modes and strobes and yet only 2 levels of constant brightness in the interface. With a long runtime and 360 degrees illumination the tube is great for small rooms, tents and as a marker if you hike, dive, cycle or do any kind of night activities it has many applications and is a practical device to have in your kit. 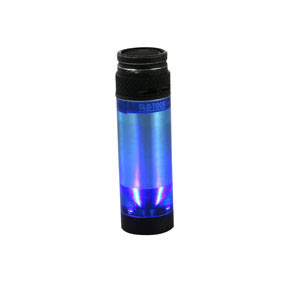 The lithium version is available in blue, red, amber, green, white and IR for $40 at Lighthound. I think it is soo Durable,comfortable and functional and with a Superior fit.All professionals worldwide consistently choose the 5.11 Tactical Pants for both on and off-duty wear.